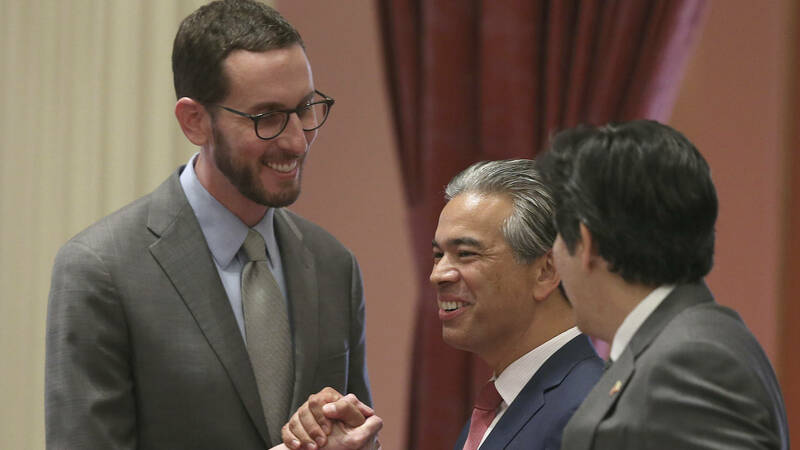 "We passed the strongest net neutrality standards in the nation," San Francisco Democrat Scott Wiener, who co-wrote the bill, said in a statement. "This is about a level playing field and an Internet where we as individuals get to decide where we go on the Internet instead of being told by Internet service providers, or manipulated by Internet service providers, into going where they want us to go," Wiener told reporters. The bill stops Internet service providers from blocking or slowing down certain websites or "classes of applications," like video. It bans "paid prioritization," also called fast lanes, where some websites would pay more for faster access. It also stops Internet providers from using some types of "zero-rating," when companies exempt certain traffic from counting against a customer's data usage. "Today was a landmark in the fight to preserve a free and open internet," supporter Barbara van Schewick, the director of Stanford Law School's Center for Internet and Society, said in a statement. The Electronic Frontier Foundation, an advocacy group that supports online privacy, called it "a victory that can be replicated." California's legislation restores net neutrality regulations first imposed by the Federal Communications Commission in 2015, during the Obama administration. But the current FCC, led by Republican Chairman Ajit Pai, repealed those regulations in June, with Pai calling them "heavy-handed." He said "light-touch" regulation would lead to more innovation, competition and cheaper prices for consumers. Pai's rules shift enforcement for violations to the Federal Trade Commission instead. Internet service providers echoed Pai's language about regulatory measures, calling California's bill "heavy-handed." "Broadband providers strongly support net neutrality, but SB 822 undercuts California's long history as a vibrant catalyst for innovation and technology," Jonathan Spalter, the president and CEO of industry group USTelecom, said in a statement. "The internet must be governed by a single, uniform and consistent national policy framework, not state-by-state piecemeal approaches." Verizon and AT&T are members of USTelecom. ArsTechnica reports that the group has in fact "consistently fought against both federal and state-level net neutrality rules." The group had earlier promised to "aggressively challenge" — sue — state and local governments that try to enact net neutrality regulations.